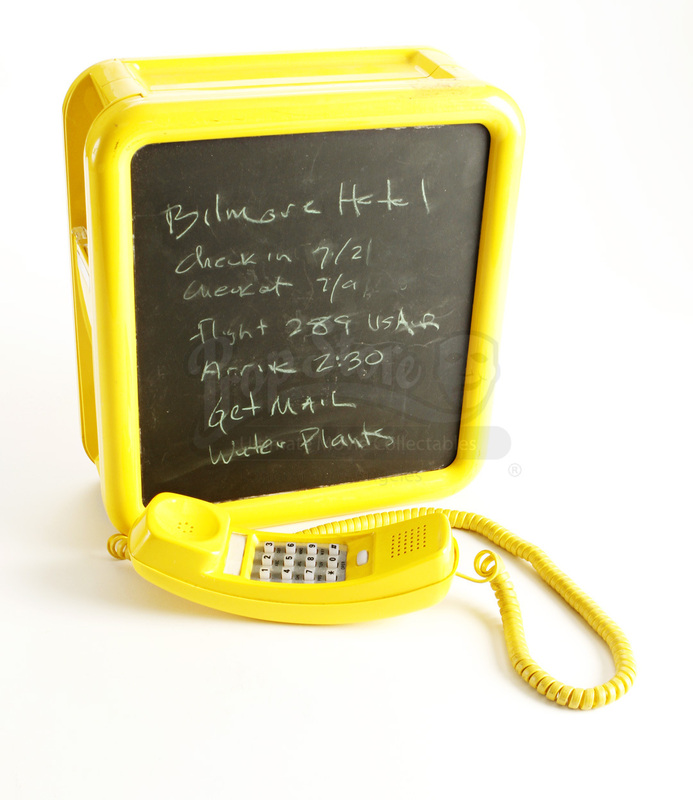 Em's (Kristen Stewart) Yellow Chalkboard Phone from the 2009 Greg Mottola film, Adventureland. 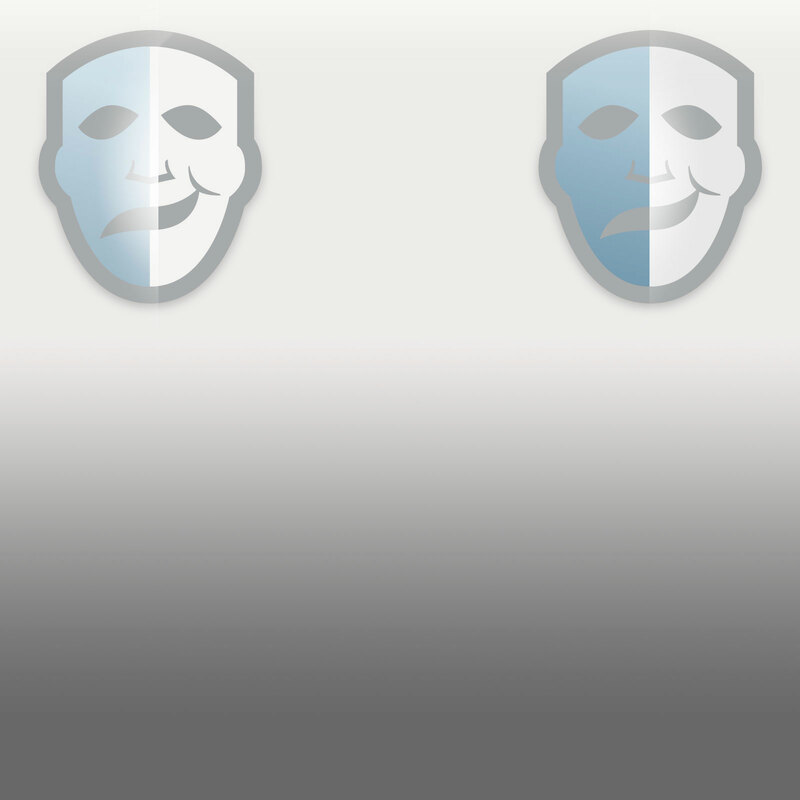 Set during the 1980's, this film follows James Brennan (Jesse Eisenberg), a young man who finds out that he can't join his friend Eric on a post graduation trip to Europe, because of his families financial troubles. 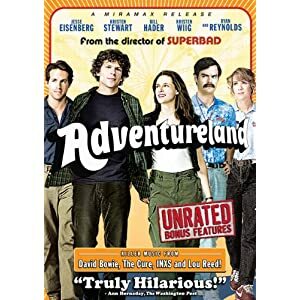 Looking for a summer job, he finds employment at the Adventureland amusement park where he meets Emily "Em" Lewin (Kristen Stewart), a girl who he quickly falls for. 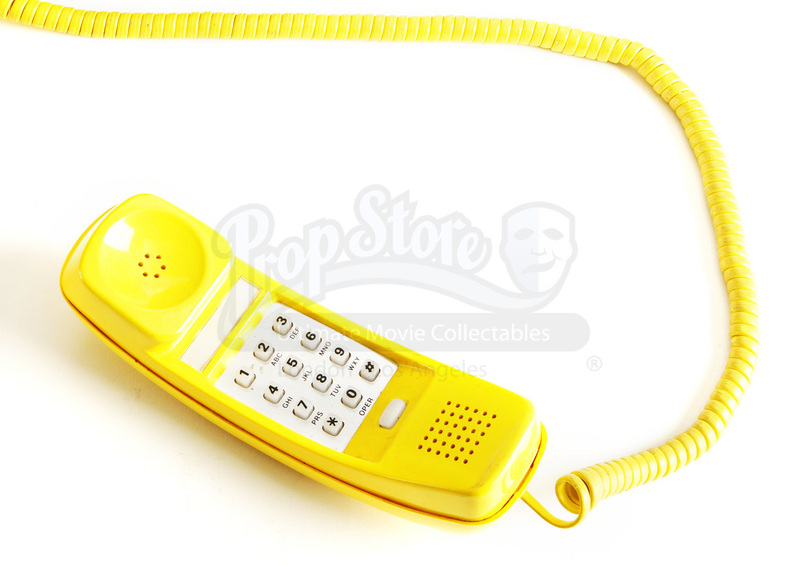 This is the actual phone used by Kristen Stewart on film. It is a corded house phone with a yellow plastic casing and features a chalkboard on the face. 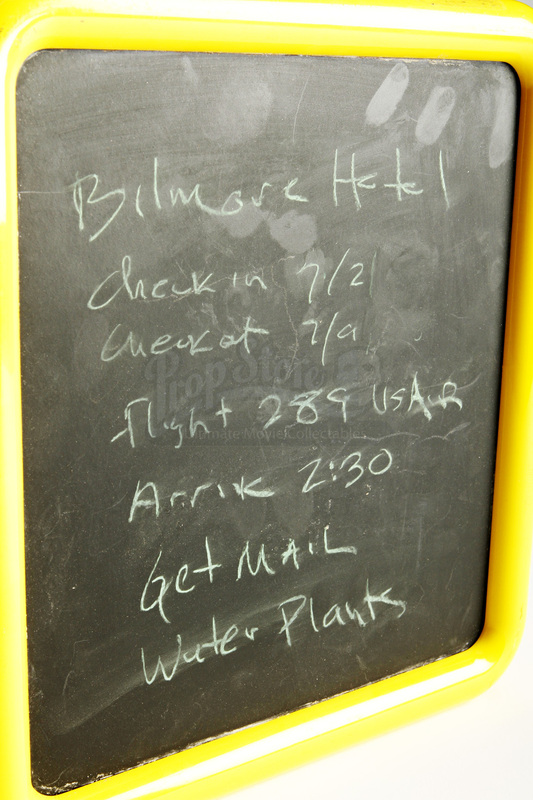 The chalkboard includes notes from Em regarding flight information and reminders for daily chores. 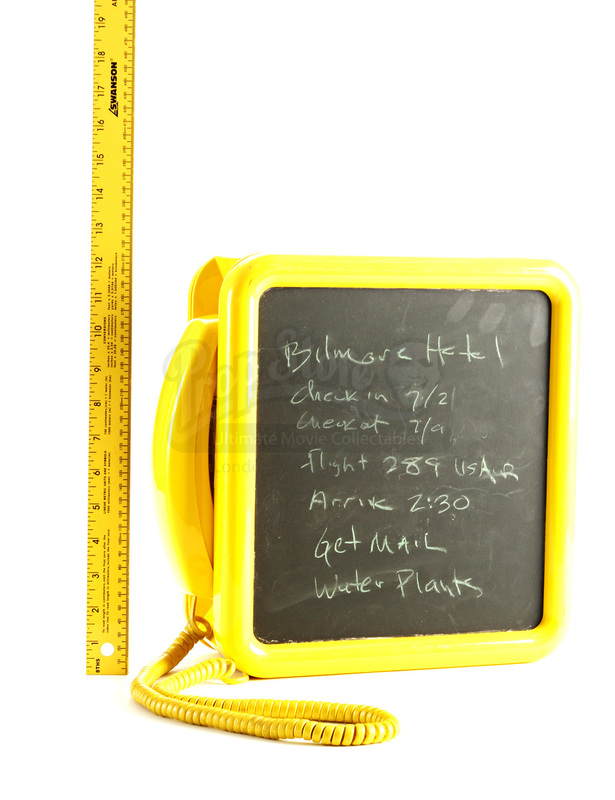 Due to production use, some of the chalk has been lightly smudged. 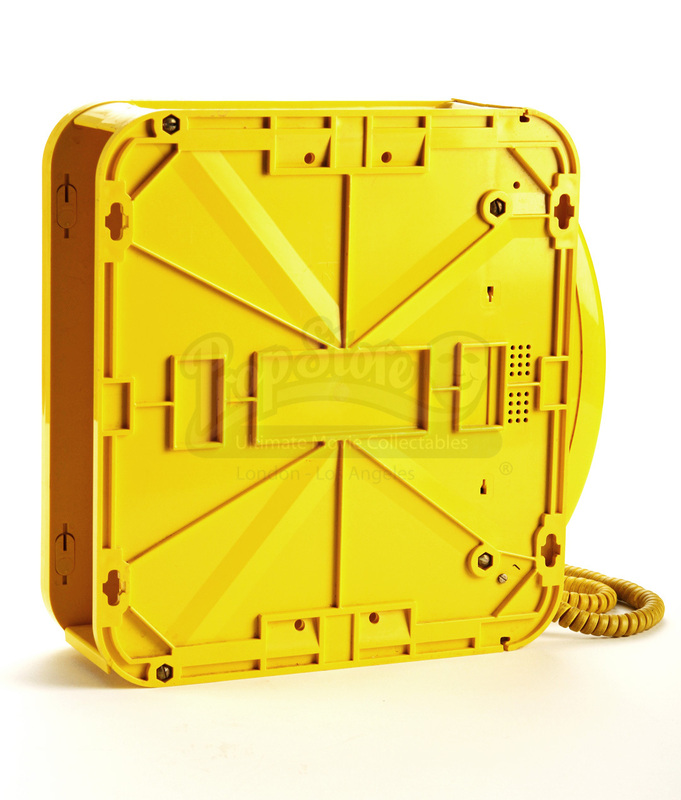 The inside of the casing is empty, and has an open partition on the side opposite the handset. 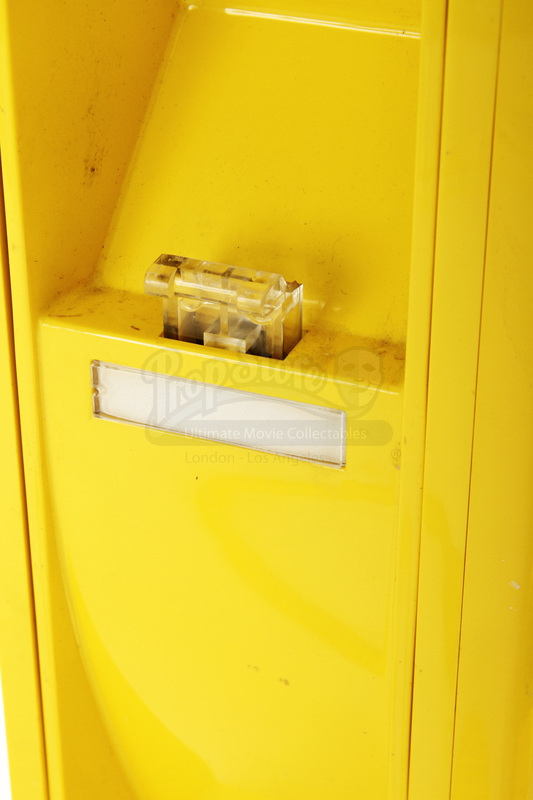 On the bottom of the case is a sticker indicating that it is made by Western Electric. 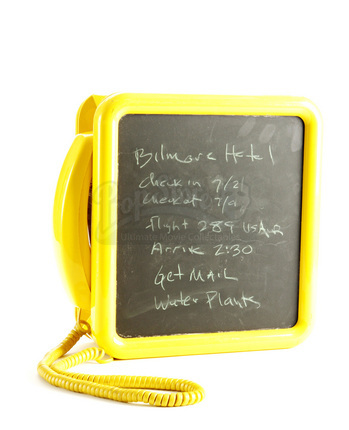 Please note that there are minor scuffs and sticker residue on the casing. 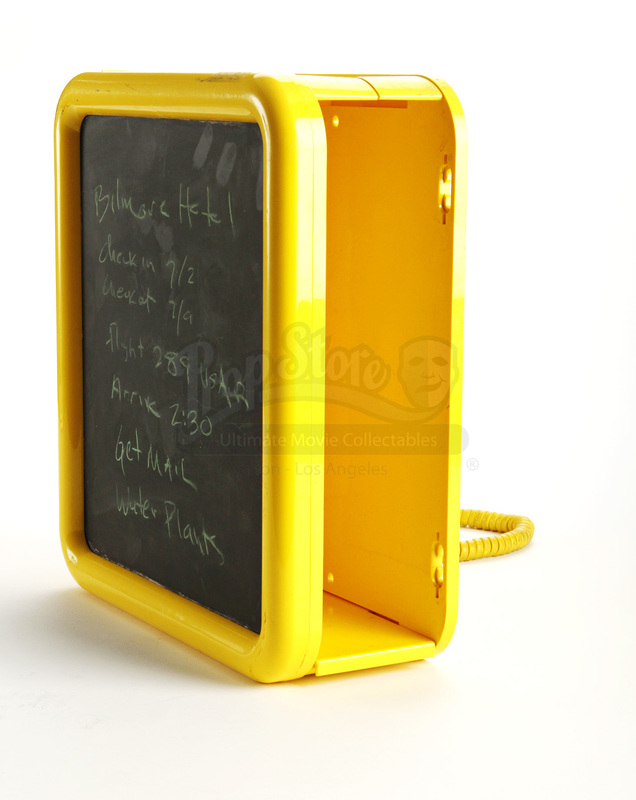 This item measures approximately 12.5" x 4.5" x 4.5" (32cm x 12cm x 32cm) and is in excellent condition.